Steven and I are honored to serve as this year’s Webb Fund chairs. As we begin our 63rd school year, Webb continues to be an exceptional educational institution constantly moving forward and growing. We are very excited to continue our support of the school. Steven and I have three children at Webb, twin boys in their junior year and a daughter in eighth grade. As our children grow, we are grateful to Webb for the role it has played in shaping our children. Our children are engaged, confident teens with a love of learning and a curiosity toward life. Their enthusiasm towards school is largely attributable to the outstanding faculty and staff at Webb. This wonderful group of people recognizes and encourages each student’s strengths and also makes each year unique, challenging and full of learning adventures. Through the Webb Fund, programs are strengthened and faculty and staff are provided with the tools necessary for students to learn at the highest level both inside and outside of the classrooms. All independent schools are faced with this same need - to make up the difference between costs and tuition. The Webb Fund is the cornerstone of all giving and supports the ongoing day-to-day operational expenses of the School. It allows us to attract and retain talented faculty; provide exceptional academic, arts and athletic programs; and offer meaningful scholarship opportunities. We hope that you, as key members of the Webb community, will support your children’s school by making a contribution to the Webb Fund. 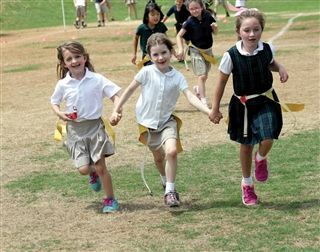 If all families make Webb one of their philanthropic priorities, the school will continue to flourish for years to come. Thank you for your time and I am looking forward to hearing from you.